The NASCAR team at Motorsport.com discuss the Round of 8 ahead of the next NASCAR Cup Series playoff race at Martinsville Speedway this weekend. Of the four drivers who fell out of the NASCAR Cup Series playoffs, which one surprises you the most? 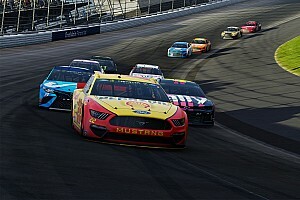 Jim Utter: I would probably go with Brad Keselowski, not only because of his ability to string together three wins in a row at one point, but also because it really seemed they had developed the consistency required to advance through playoff rounds if you don't earn a win. While the 27th place finish at Talladega sticks out the most, it was really the 14th at Dover that was more unexpected and in the end likely led to Keselowski's inability to make it to the Round of 8. Nick DeGroot: Although I believed Kyle Larson would make it further into the playoffs, Brad Keselowski is the most surprising to be eliminated. He came into the postseason with the most momentum, winning three consecutive races with a real opportunity to go for a fourth. 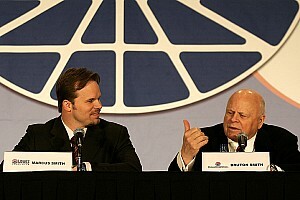 Tim Southers: I honestly thought Brad Keselowski would have easily made it to the Round of 8. He had scored multiple wins and during the second have of the regular season put together some consistent runs. I think the finish at Talladega Superspeedway was the achilles heel of the playoffs for him, but I honestly thought he could have made it to the final four. Chase Elliott emerged as a new title favorite after the second round with a pair of wins. 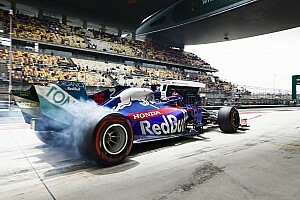 Is there a driver you feel could do the same in the semifinals and join the championship discussion? Jim: I could easily see Joey Logano pull off a similar feat. He has sort of flown under the radar in the playoffs but has been remarkably consistent - his worst finish in six playoff races thus far is 14th. He has won at Texas and Phoenix in the past and has run well at Martinsville, including winning four of the last seven poles at the track. A couple wins in the semifinal round would be unexpected for Logano but not out of the question. Nick: Outside of the drivers that have already won multiple races, I'd also say Joey Logano is the best bet to duplicate Chase Elliott's feat in the Round of 8. He is a driver that is always a favorite at Martinsville and with his other two Penske teammates now out of the playoffs, much more focus will be put on that No. 22. Tim: I could see Kurt Busch pulling this off. He has ran well at Martinsville Speedway in the past and - like his Stewart-Haas teammates - has shown plenty of speed all season long on other tracks. While Busch has had trouble finishing races this season, it would not surprise me at all to see him pull of a couple of wins if he can figure out how to finish races. The NASCAR Truck Series returns to action this weekend at Martinsville. Who do you feel needs to get off to a quick start in the round of six? Jim: If Noah Gragson is going to have a serious shot at winning the championship this year, I think he needs to win this weekend at Martinsville, which he did a year ago. 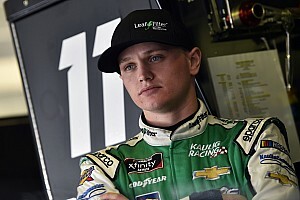 Getting himself locked into the Championship 4 right away would give Gragson and Kyle Busch Motorsports the chance to focus all their resources on preparing for the championship race. Nick: Matt Crafton hasn't been his usually self lately and is still looking for his first win of the season. I'd say he has to get off to strong start and can't afford to stumble if he has any chance of making it to the final four. Tim: I think Matt Crafton, who secured the final transfer spot for the semifinals, has the most pressure. He has to make up the most ground and is the only driver still in the playoffs yet to win a race. I think if he could pick up a win at Martinsville, where he has already won twice, he would definitely be one to watch in the season finale at Homestead-Miami Speedway. 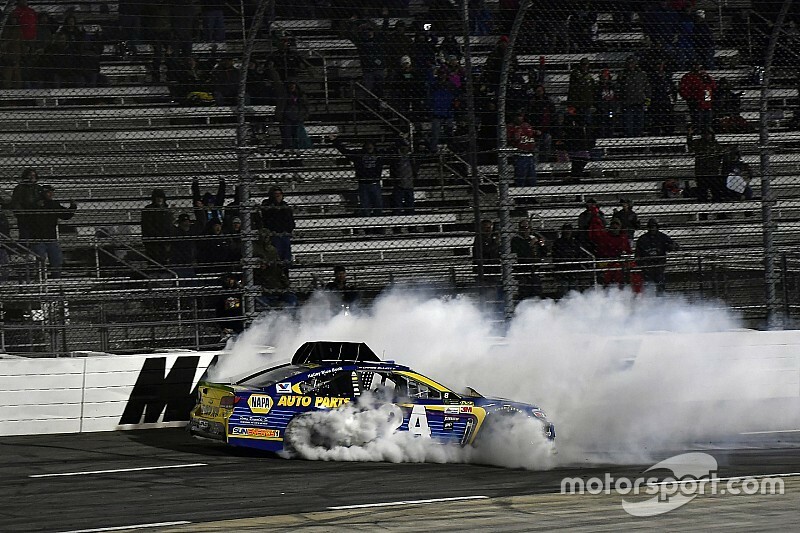 Martinsville Speedway was the scene of fireworks last year when Denny Hamlin and Chase Elliott had their coming together. Should we expect anymore clashes this weekend? Jim: With a chance to lock themselves into the Championship 4 on the line, the Martinsville playoff race I feel is generally a lock to produce some sort of fireworks. 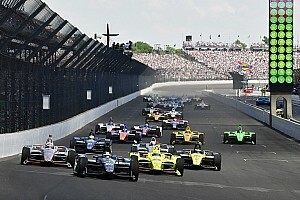 Being the first race in the round allows drivers a little more freedom to push the limits since they still have two races remaining to recover from a potential points deficit. The question is not whether there will be fireworks, but rather how big a show will it be? Nick: We also had the Logano/Kenseth incident in 2015. But this round is different. Winning doesn't just mean you advance into the next round, it means you've made it all the way and will have a shot at the title at Homestead. The stakes are higher, elimination is more of a threat and the importance of winning has never been greater. All that means emotions spike much quicker when things go wrong so yes, there will be some conflict this round and Martinsville is a prime track for that to happen. Tim: I think anytime we have a NASCAR race at Martinsville Speedway emotions are sure to provide excitement and this weekend should be no different. This is the first race of the semifinals so the pressure might not be as high as a cut-off race, but there will be contact among drivers and this always produces drama on the track and I expect we’ll see something this weekend.